• News of a possible MV3 on Tuesday triggers a fresh leg of an upsurge on Monday. • Renewed USD selling bias provides an additional boost and remained supportive. The GBP/USD pair rallied around 80-85 pips and refreshed session tops, around mid-1.3200s in the last hour, albeit lacked any strong follow-through. Having touched a session low level of 1.3160, the pair witnessed a sudden intraday turnaround in reaction to news that the UK PM Theresa May will push ahead with MV3 on Tuesday, though was immediately denied by official sources and thus, kept a lid on any further up-move. Meanwhile, speculations that May might still struggle to pass the relevant legislation through the parliament further collaborated towards capping the intraday positive move. Hence, the key focus will be on Tuesday's possible vote and only after that she will consider indicative votes. With the incoming Brexit headlines turning out to be an exclusive driver of the sentiment surrounding the British Pound..
Prices of WTI remains on the defensive albeit off lows. Global slowdown keeps weighing on crude oil. US oil rig count dropped by 9 during last week. Prices of the barrel of the American benchmark for the sweet light crude oil are extending the leg lower although finding quite strong contention in the $58.00 region. WTI weaker on growth fears The barrel of WTI keeps correcting lower on the back of persistent concerns over a global slowdown and its impact on the demand for crude oil and with China, the EU and the US in the centre of the debate. In this regard, latest PMIs figures in Euroland and the US point to some weakness in these economies, which have also added to the view of a slow pace of growth in the Chinese economy. In addition, declining US yields and the inversion of the curve also collaborates with the sour sentiment. Somewhat supporting prices, driller Baker Hughes reported its fifth consecutive weekly drop in oil rig count, taking US active oil rigs to 824 (from 873..
"The Chicago Fed National Activity Index (CFNAI) edged down to –0.29 in February from –0.25 in January," the Federal Reserve Bank of Chicago said on Monday. Key takeaways from the press release The CFNAI Diffusion Index, which is also a three-month moving average, decreased to –0.05 in February from +0.12 in January. The contribution from production-related indicators to the CFNAI moved up to –0.16 in February from –0.29 in January. Employment-related indicators contributed –0.10 to the CFNAI in February, down from +0.07 in January. "No 10 source just got in touch to say a 'final decision' hasn't been taken on MV3 tomorrow," ITV's political correspondent Paul Brand recently tweeted out. "Cabinet did discuss indicative votes, but understand there was no agreement (as you'd expect). Brexiteers were firmly against, others more in favour. Am told "no conclusive remarks" from the PM on whether or not to hold them, but MV3 is focus for now," Brand explained. "Stitching all this together, my source suggests the final date is "subject to conversations", i.e. with the DUP, but tomorrow is the current plan." Greenback goes into consolidation following last Friday's rally. Chinese premier Li says China can resist downwards pressure on the economy. After posting modest losses on Friday and closing flat on the weekly chart, the AUD/USD pair gained traction on Monday and was last seen trading near 0.7105, where it was up 0.32% on a daily basis. The improved market sentiment on Monday seems to be helping the risk-sensitive AUD gather some strength. Moreover, Chinese premier Li Keqiang earlier today said that China had the ability to resist downward pressure on the economy to provide additional support to the currency. There won't be any significant macroeconomic data releases from Australia this week and the market's risk perception and the USD's performance are likely to impact the pair's price action. Ahead of Chicago Fed's National Activity Index and Dallas Fed's Manufacturing Index, the US Dollar Index continues to fluctuate in a tight daily range a li.. According to ITV's political correspondent Paul Brand, British Prime Minister Theresa May is expected to hold the third meaningful vote on her deal on Tuesday. "Understand PM going for Meaningful Vote 3 tomorrow. Only after that will she will consider indicative votes," Brand said via Twitter. With the initial market reaction, the GBP/USD pair advanced to a fresh session high of 1.3225 and was last seen trading at 1.3217, adding 0.06% on the day. The cross gains further ground on JPY weakness. Rebound in US yields keeps weighing on JPY. German IFO bettered estimates in March. The renewed softer tone around the Japanese currency is giving extra wings to EUR/JPY to the area of 124.80, where seems to have found some resistance. EUR/JPY bounces off sub-124.00 levels After briefly testing fresh lows in sub-124.00 levels during early trade, the cross managed to regain some buying interest following a pick up in US yields, which in turn added to JPY depreciation. It is worth mentioning that yields of the US 10-year note plummeted to levels last seen in January 2018 around 2.42% on Friday, forcing USD/JPY to also breach the critical support at 110.00 the figure, just to pick up some pace afterwards. In the calendar, the German IFO unexpectedly came in on the strong side for the month of March, improving the sentiment around the shared currency and also collaborating with the up move. EUR/JPY relevant levels At the moment the c..
You’ll have 24h/5d access to friendly, approachable support teams, via phone, chat or email. Competitive, transparent pricing. Find out more in our market info sheet. We have been authorised and regulated by the FCA (formally FSA) since 2004. Everything you need to trade. Get free education, trading resources, news and charting with your CIX account. Your deposits are segregated from our money and protected up to £50,000 under the FSCS. 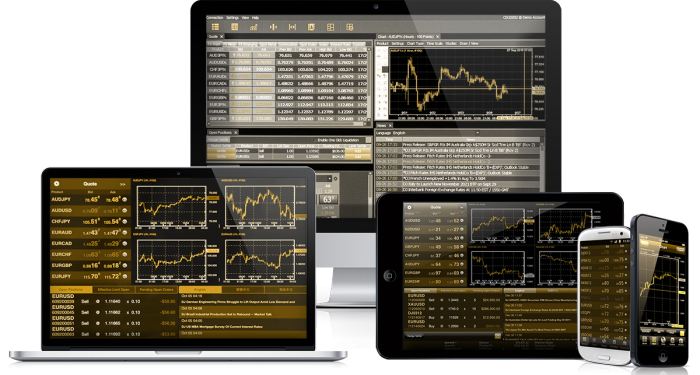 A choice of trading platforms to suit your trading style, with 24 hour access to Fx, Commodities and Index markets.